The Termite Queen can produce 1,000,000 or more offspring in her lifetime and is capable of laying an egg every second. 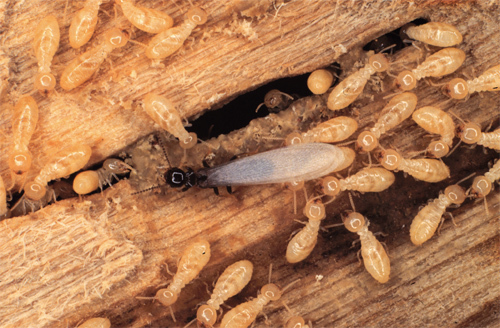 Subterranean Termite Colonies can have up to 2,000,000 members. Termite colonies eat non-stop 24 hours a day, seven days a week. 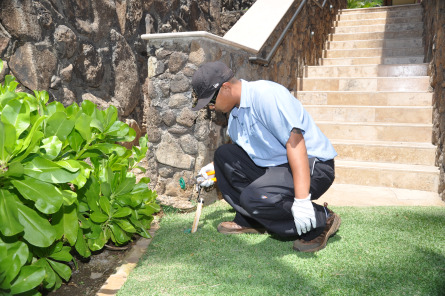 Since 1994, Environ Control was 1 of 4 companies in Hawaii to be authorized to promote and offer The Sentricon Termite Colony Elimination System. We’ve been working with the system for 20 years now and have seen this system work time and time again. With the knowledge of subterranean termite biology and behavior, our technicians are able gain control of termites by working with the Sentricon System. The Sentricon System destroys the Termite Queen and her colony without disrupting your lawn, landscaping or foundation. There is no structural drilling or trenching and digging around your foundation. The stations are simply put in the ground around your home, forming a protective ring. Termites prefer the bait found in Sentricon more than wood, and its active ingredient, noviflumuron, prevents them from molting.